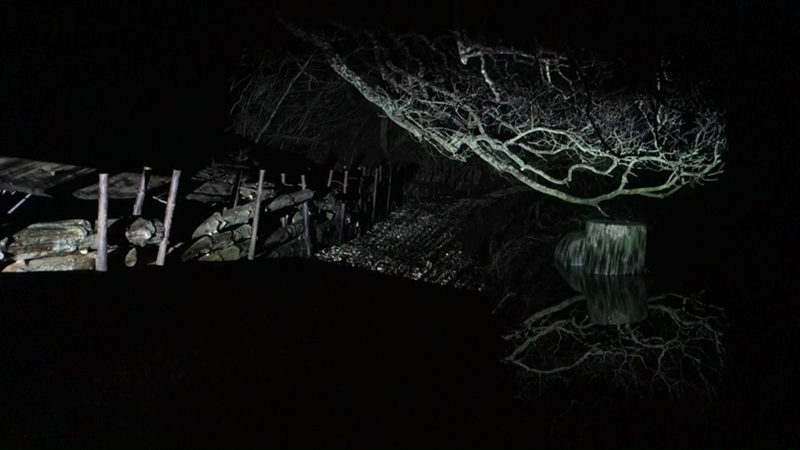 A collaboration between physicist Dr Philippe Blondel, Head of the Remote Sensing Laboratory, University of Bath, and artist Nicola Rae. Nicola: Our meeting led to an increased awareness of the similarities and differences between our interests in sound and its visualization. My art practice involves experimentation with sonic frequency visualisations, often in response to electro-acoustic phenomena or viewer interactivity. We both use sound emission analysers designed for scientific purposes, but my work is self-directed. When Philippe was asked what sounds that he currently found most interesting, he replied the sound of ice cracking in Svalbard as a result of global warming. So we decided to focus on a hydrophone recording of melting glaciers in the Hornsund Fjord on Svalbard, recorded by Philippe's research team. My suggestion was to visualise these sonic frequencies of melting glaciers projected onto water at night in the Somerset Levels, with its history of flooding due to climate change. 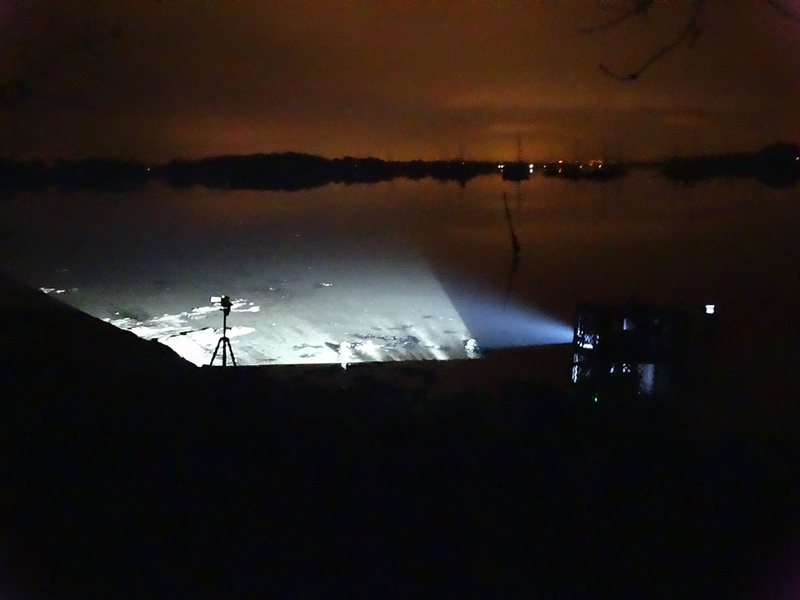 The process of projecting sonic frequencies onto high tides in the dark during January made it necessary to create a robust projection trolley with tarpaulin cover to protect the digital equipment (see images below). 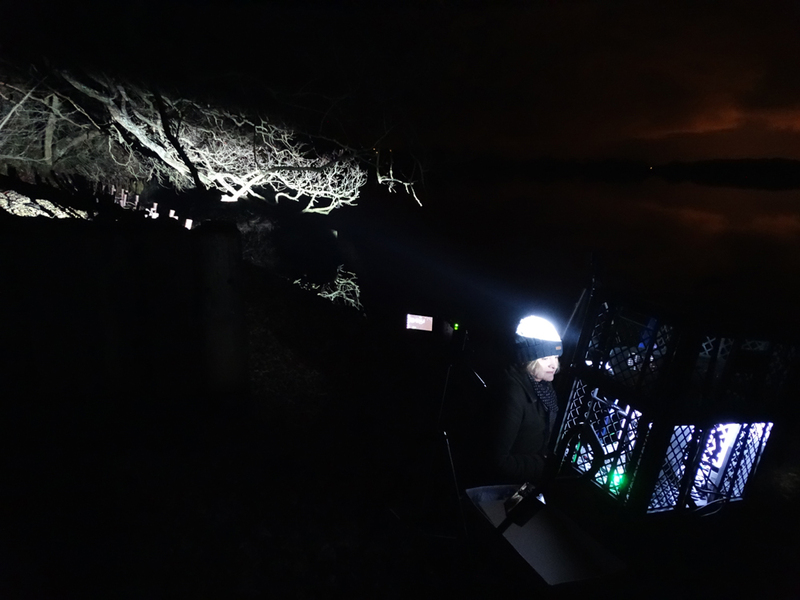 The possibility of filming projections in the Somerset Levels receded as the necessity for a constant source of electricity became more apparent. So my late Grandmother's house with its fragile sea walls, located beside the low lying estuary at Birdham on the Sussex coast, with its own history of flooding, became our location. Other arctic glacier calving recordings can be heard at intervals, alongside the more subtle underwater recordings of Philippe's research team. Philippe: Hornsund .WAV file is an audio recording taken from a single hydrophone deployed from a small boat (Zodiac size) in the middle of Hornsund Fjord, Svalbard, by my Polish collaborator Prof. Jaroslaw Tegowski, from the University of Gdansk. This was recorded in summer 2009. The recording is at 96 kHz and we can hear the background noise of water in the fjord, clinking from icebergs melting, and every now and then some louder "thunks" of icebergs capsizing, or some far-away calving from the Hornsund glacier (40 m high above sea water). This is the place where I worked this summer, with Prof. Tegowski and another collaborator in the same project, Prof. Grant Deane (from Scripps Institution of Oceanography, San Diego, USA). If using this file, please make sure the credit fully includes Prof. Tegowski, as he is the project leader. 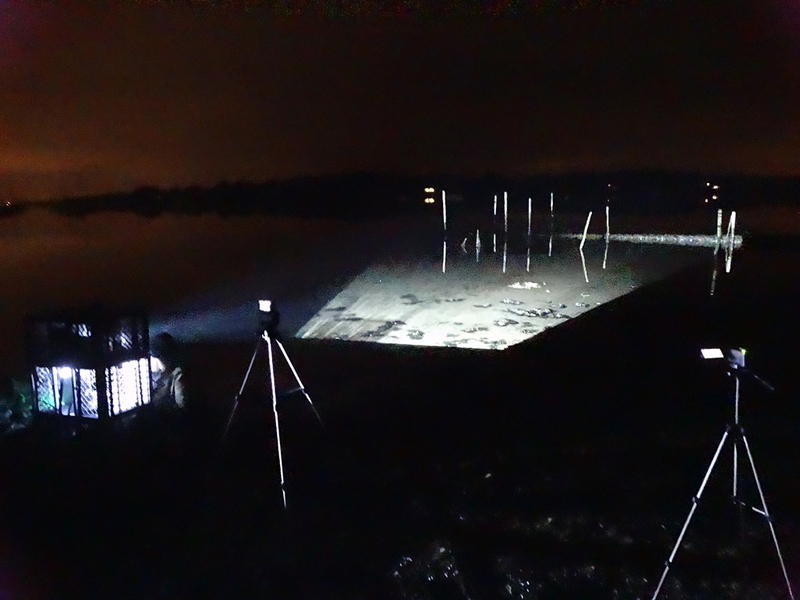 Also many thanks to artist Paul Malone: for assisting with the filming of outdoor sound frequency projections at night on the Sussex coast and for taking these site photographs.